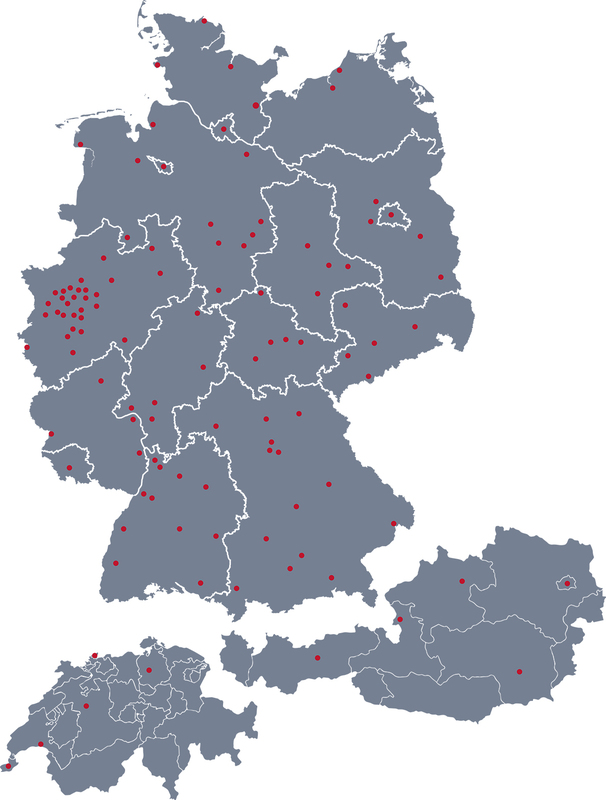 And suddenly everything is quiet and everone is concentrated. Close your eyes again, take a deep breath, open your eyes and...shoot! The arrow flies towards the target with incredible speed. Bullseye! No, we are not stranded in a Robin Hood adventure land. 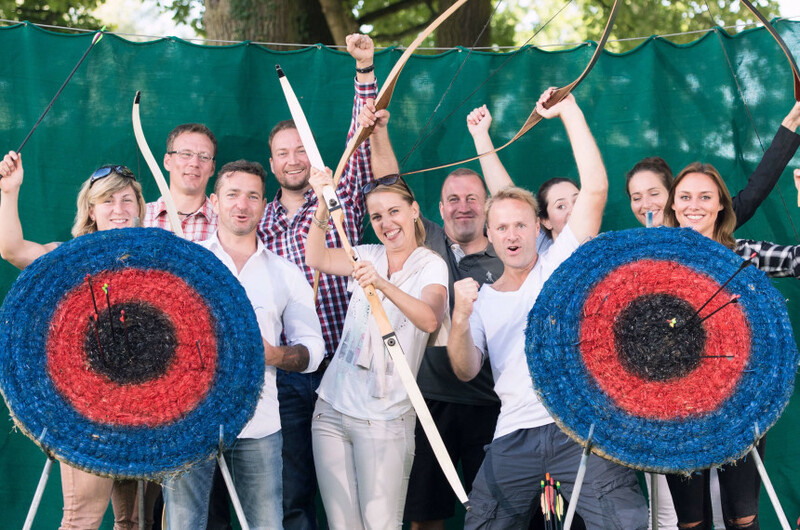 Welcome to our teamgeist archery event! Concentration, absolute inner peace, a thrilling contest and tons of fun are waiting for the participants. 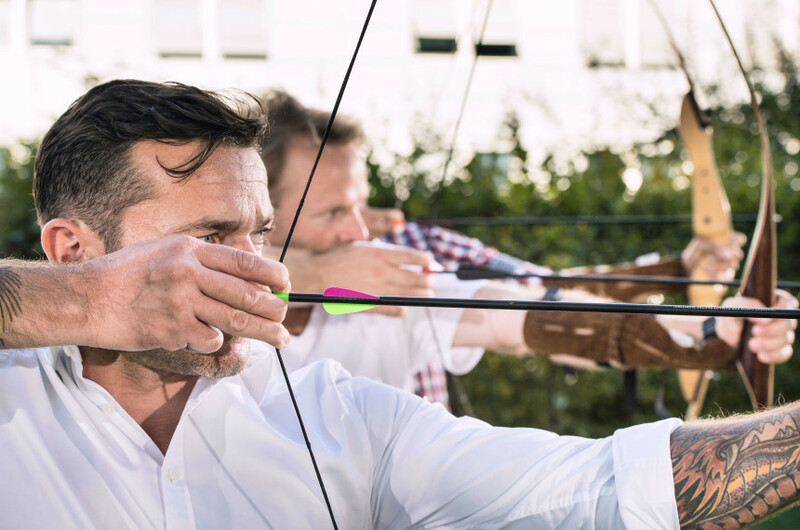 Safety is, of course, ensured as well, since our modern sport bows are no toys: Specially trained personnel, secured lanes and archery nets make sure that the arrows go where they belong: Into the bullseye. Or at least onto the target, because that is your task. The good news is: Archery can easily be learned by anyone. The learning curve is extremely steep, so that after a couple of trial shots under the supervision of our coaches, absolutely everyone can score valuable points for their team. At the latest when you shoot onto the balloons, your team score is going to explode – quite literally! During the competitive version, a maximum of 6 participants shoots at one lane and the team contest is at the centre. 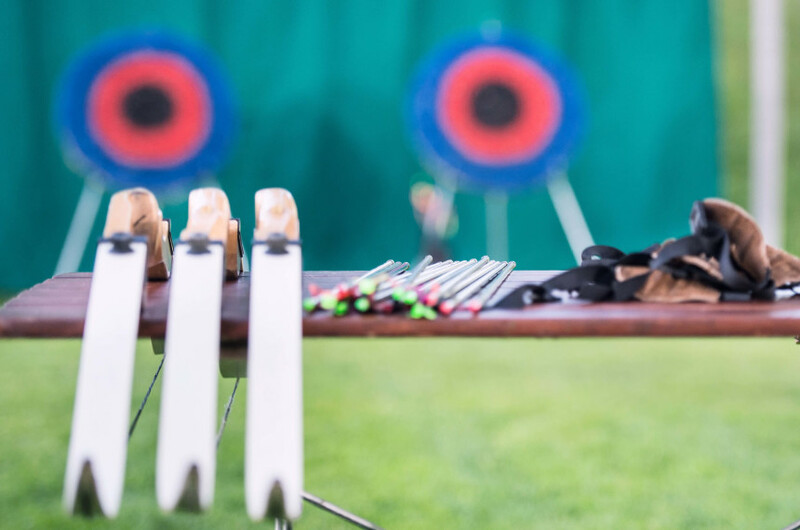 Book this version, if the archery event is planned as separate part to your event programme and if it is important to you that the waiting time for the individual participants is kept to a minimum. 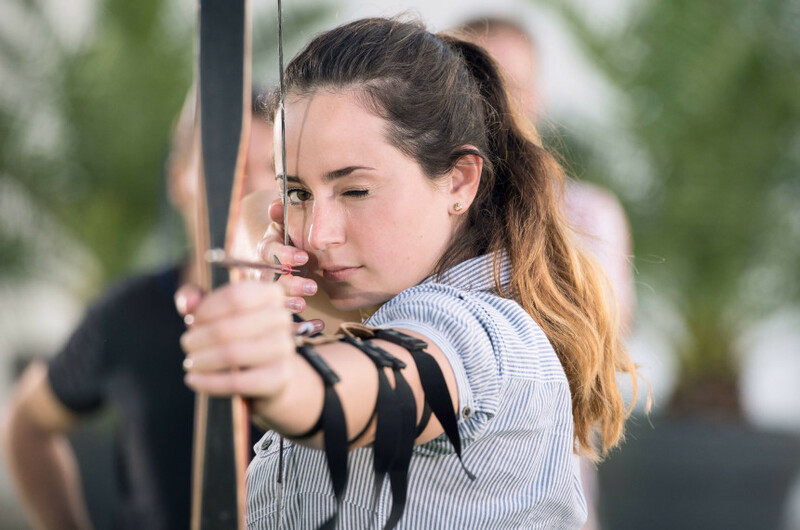 If the archery event is planned as side event or as part of an extensive staff day, we recommend the supporting programme version. Hereby, 10-12 participants shoot at one lane and the waiting time between shots is accordingly longer. One general rule, however, applies to both versions: The later the evening, the cosier and relaxed the shooting! During our night archery event, we illuminate the entire event area and create a relaxing atmosphere with our torches or fire baskets. This unique experience will leave participants with wonderful memories.